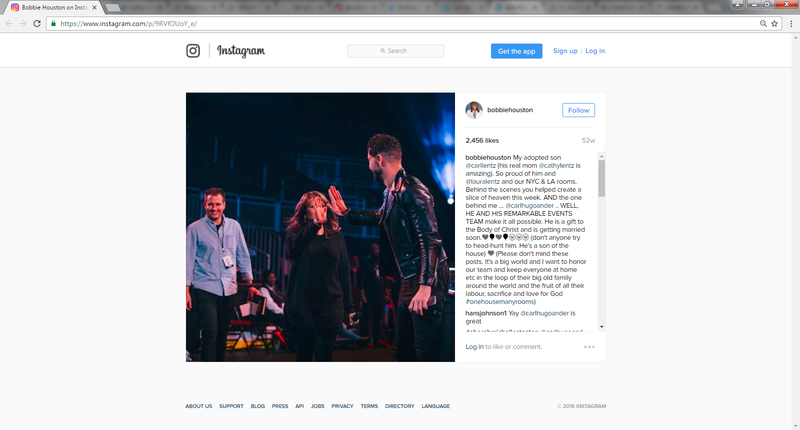 Recently, Pulpit and Pen released an article exposing the blasphemous and cult-driven nature of the anti-Christian, nepotistic, Hillsong empire in their article ‘Bobbie Houston: If You Hate Hillsong, You Hate God‘. The result was Carl Lentz’ mother coming in to take a swipe at Pulpit and Pen. This is personal – and Hillsong is MAKING it personal by allowing family members to fight for them, a tactic they have used for decades. Brian and Bobbie Houston lack the capacity to defend themselves and they allow other family members to attack people on social media (a good example of this can be seen on another site with Houston’s sisters attacking the credibility of its author). The bible commands us to honor our mother and father, not deceive them. “I am astonished that you are so quickly deserting the one who called you to live in the grace of Christ and are turning to a different gospel— which is really no gospel at all [this is your son, Cathy]. Evidently some people [your son, Cathy] are throwing you into confusion and are trying to pervert the gospel of Christ. But even if we or an angel from heaven should preach a gospel other than the one we preached to you, let them be under God’s curse! [So warn your son Cathy, for his sake!] As we have already said, so now I say again: If anybody is preaching to you a gospel other than what you accepted, let them be under God’s curse! Do you think Pulpit & Pen care about pleasing people, unlike your son? Would you like to reconsider your statement to Pulpit & Pen? Oh brother. Pulpit and Pen, just keep doing what you do. Expose heresy, keep me informed. Interesting how Pulpit and Pen always quotes verses, but the Tweeters do not. That looks like a tweet from a preteen bullying another child, tweeted in Christianese. “No one wants to be your friend, everyone thinks you’re stupid…” *blows raspberries*. Bobbie Houston: “Adopted son”…. that is very interesting. If the very top religious leadership position is passed from father to son in Hillsong, does that mean Lentz has been added to the will?